Too many businesses are ignoring their customers. They may not do it in person or on the phone, but they do so in other places that matter. This ultimately may lead to a slow decline in their sales as more and more people seek customer service outside of the phone and email. Businesses should understand that it’s not where they want to provide customer service, it’s where their customer prefers to get it. 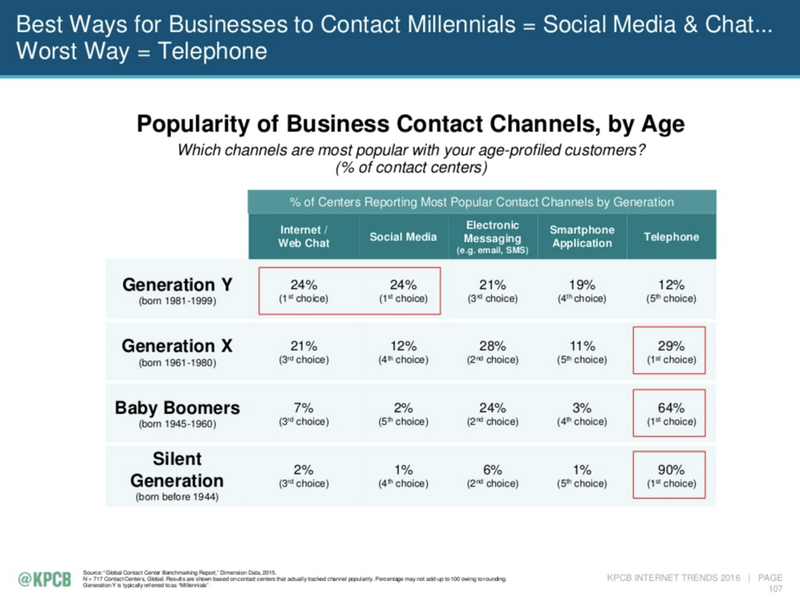 To break it down even further, Mary Meeker’s Internet Trends 2016 report showed which business contact channels are preferred by each generation. Generation Y or “Millennials” preferred social media and chats, and while the younger Generation Z wasn’t reported on, you can bet that they’re not favoring the same channels as those aged over 40 either. Today, everyone has gotten used to the speed of on-demand services that are within a few clicks and swipes - Netflix, Uber Eats, Amazon, you name it. Businesses that put the customer first are the ones winning, and consumers now expect this kind of efficiency. After all, why choose a business that ignores you or requires you to conform to them when there’s a more accessible and more responsive quality competitor a click away? 45% of consumers just want customer service that is effective, accurate and quick. These days, that often means through social media or a chat. Small businesses that only have 1 or 2 social accounts may simply be able to organize interactions in native apps like Facebook’s Facebook Page (for Facebook and Instagram). For bigger businesses though, using tools like Hootsuite, Sprinklr or Sprout Social can streamline processes. 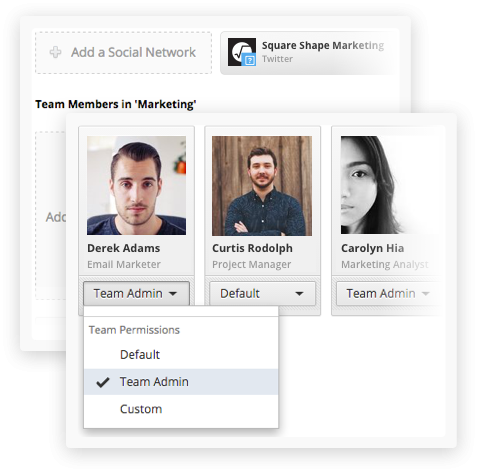 Multiple staff members can help manage interactions, and messages can be assigned to the appropriate people. This is especially useful for businesses in multiple markets, us for example, because we do work in English, Japanese and Chinese. Having an easily accessible button floating on a business website for visitors to quickly make contact will help increase chances of turning them into a customer rather than requiring them to hunt for a phone number and hoping they want to actually call. Plugins like Zendesk and Facebook Messenger help enable this, sending messages to an inbox. If no one is available, bots can help automate communication (we build Messenger bots). While some businesses may worry about relying on a bot, almost half of consumers have said they don’t care if they’re interacting with a bot or live person, as long as the service is effective. Communication can take place in all sorts of channels now, and businesses now need to address people in these non-traditional places. In marketing and advertising, we consider the many touchpoints where someone can come in contact with a business. Because of that, businesses also need to make sure they’re increasing communication on those contact points as well. The data says it - in 2017, 68% of consumers reportedly increased activity with businesses that provided good customer service. That “good customer service” now takes place beyond phones and email.